Just like in every other area of society, the book community is no exception to warding off cancel culture–especially in the YA sphere. Recently readers have lifted the banners for more representation and diversity in the novels that are published, a demand that has been long overdue in my humble opinion. But as voices grew louder, others with opposite opinions came forth as well, and decidedly by the masses those who didn’t align with these sentiments were “cancelled”. The cancel institution grew like wild-fire in the book community these past few years, where past interviews, statements, and social media posts are brought to light and books are scrutinized with a fine toothed comb. Readers became culture judges and most of the time Twitter was their courtroom of choice, where the gavel came down on many. But as the gavel struck, few noticed the limitation of the newly instituted culture–the lack of a second chance. Cancel culture gets rid of the option to educate and encourage those in the wrong to seek out education and awareness. First of all, I am deeply sorry to those that were effected by my choice of language. I understand that I am in the public eye & have many supporters, but none of my actions that took place should be supported. Words have power and can do a lot damage. I own mine and I am sorry. I respect Fox’s decision to recast this role for The Hate U Give as it is an important story, and it would not be appropriate for me to be involved considering the actions of my past. I understand the impact and I have grown a lot and learned since then. However, the book community was not so easily appeased. Rather than using the moment to encourage awareness and use this as a learning moment for Lawley, many in the community began ridding themselves of association with him, retracting any support they had once given Lawley. However, all the hype surrounding this debut was suddenly halted when a review was published by bookstore employee and YA blogger, S. Sinyard. In her 9,000 word review that consists mostly of pulled quotes, Sinyard claims the book to be “the most dangerous, offensive book I have ever read.” Dragging the novel to thine kingdom come, Sinyard describes the book and endless mass of bigotry. It was ultimately written for white people. It was written for the type of white person who considers themselves to be not-racist and thinks that they deserve recognition and praise for treating POC like they are actually human. 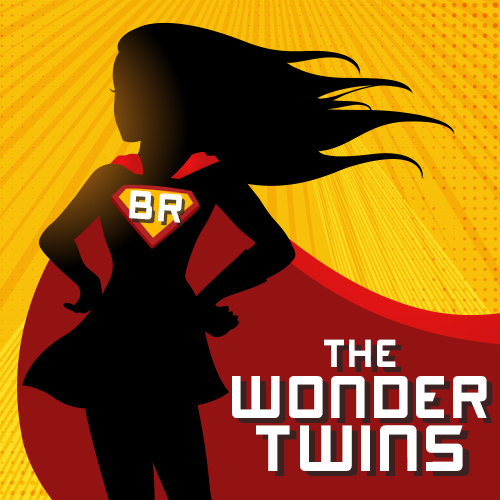 Synard took to Twitter asking people to spread the word on the book by retweeting her review–which as we all know, is like a siren’s call to the YA book Twitter community. Led by multiple authors and thousands of readers, a campaign–based almost solely on Synard’s review– began to void the world of this work, and the author’s career. 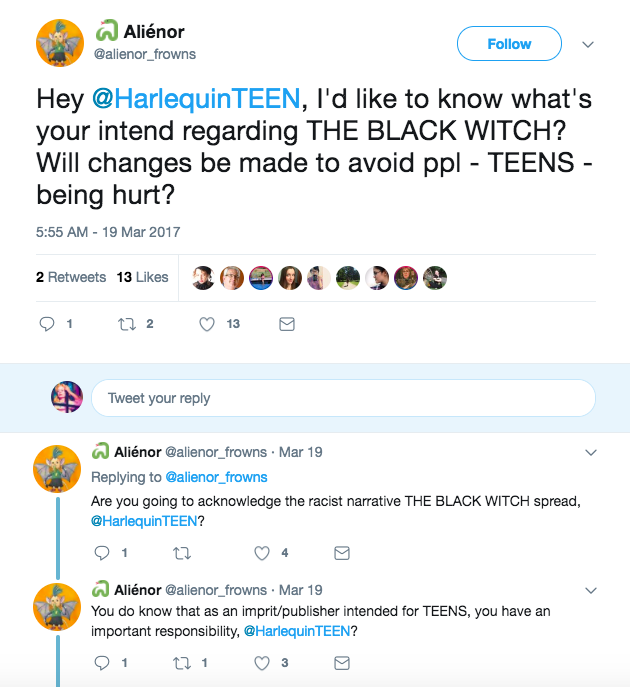 Publisher, Harlequin Teen, began to be overwhelmed with an onslaught of angry emails demanding the removal of the book from their publication line. Readers in the thousands began giving the book a one star rating, though many of them later admit to having never read the book. Twitter threads reaching to the hundreds, dragged and damned the book, cancelling anyone and everyone who liked or gave a high rated review of the book. Cancel culture isn’t just for the new or young either. Former Powerhouse and beloved children’s author J.K. Rowling can attest to this statement as she has slowly made her name known as the “problematic fave” (A famous individual who one likes though they have clear problematic faults). However, unlike the others mentioned, Rowling hasn’t been crossed out entirely. Just like in life, when you love something so much it’s hard to fully let go and move on, even though the source has been infected. This is the case for Rowling–a woman who has been justifiably “cut off” but is still supported in some shape or fashion. Since late 2007, there were a few major controversies that have popped up with Rowling in the center of the backlash. Many of which, fans of the Wizarding World creator pointed out have been long since standing that were overlooked in her Prime time. Rowling has stopped being the iconic household figure, where her inspirational story and beloved characters touched millions, but rather she has become the author people now choose to stay away from. The beginning of her downfall and entrance into the cancelled institution could be said to be with the theatre adaption of the Wizarding World, Harry Potter and the Cursed Child. The play was an eagerly anticipated show, where many fans lined up by the thousands to gain tickets to see and others to purchase the script. It was new material for those who grew up immersed in the land Rowling created. However, that love halted when the play became public. Rather than the intricate and well-developed storyline and setting that fans had grown to love, the play read like a really bad fan fiction that had heavy themes of queer baiting (a term used to describe a relationship between two persons of the same gender that is romantically coded, though not made explicit). Many fans saw the relationship between Harry and Draco’s sons as a romantic one, but were quickly shut down by the end of the story. A form of queer baiting can also been seen with the character Albus Dumbledore. Back in 2007 during a visit to Carnegie Hall, Rowling answered a fan question that asked if Dombledore would ever find love, to which Rowling replied with: “Dumbledore is gay”. According to New York Daily News, Rowling went on to explain that the beloved character had indeed been in love with his then rival, Gellert Grindelwald. Fans were thrilled with the news, many now eagerly waiting to see this representation on the full screen. However, when the time came to see this relationship in action with the newest film Fantastic Beasts: The Crimes of Grindelwald; Director David Yates told fans that Dumbledore’s sexuality would not make it to the big screen–“not explicitly” that is. This is one the many instances where Rowling added representation after the fact. Instead of admitting that her stories have lacked diversity and representation across the board, Rowling grew content with the choice to cram in rep after the fact–making the representation (if you can even call it representation) feel cheap. LGBTQ+ fans were outraged at the news, deeming the add-in as a way to add diversity when it was never really there to begin. One Cherokee writer, Adrienne Keene, took to her blog to vent about Rowlings actions saying, “Rowling is completely re-writing these traditions. Traditions that come from a particular context, place, understanding, and truth. These things are not ‘misunderstood wizards.’ Not by any stretch of the imagination.” Keene has since been very vocal on Twitter about Rowling’s insensitivity; and in a reply from Rowling to another person, Keene let her thoughts known. This isn’t the only issue that has caused Rowling to be cancelled in the eyes of the YA community. Rowling’s agreement and support of the casting of Johnny Depp for the role in the Fantastic Beast franchise after news was released of Depp being accused of domestic violence. Many fans threw up arms to boycott entirely, demanding a recast; however, as the communities voices grew, so did Rowling’s support of Depp. With every controversy that Rowling brings upon herself, the YA community raises arms in solidarity and demand for change, but unlike others a pardon is passed in the court room and support–though little it could be–is still granted. Why is that? Why do we trample the new and banish them without a second thought, but when our favorites have been caught with the same theology and accusations, they receive a slap on the wrist and maybe even a citation? This is what the cancel culture looks like in the YA book community. We strive and have nearly become obsessed with bringing social awareness into our literature that we have begun to not tolerate mistakes and growth to be apart of the process. However, the obsession and need fades when our heart is close to the subject being charged. Because of this, we have removed authenticity from our activism, and have made the court room a mirror image to our very own judicial system. Where the well-loved are pardoned and the unknown are terminated. Life is full of grey areas where nothing is black and white–good or bad– and just like life our moral system is the same way: a completely evolving entity that with each generation it morphs into something completely different. So you may ask where is the line? Where is too much, too much? Or when does it become too late to forgive those who have been problematic? Controversies should help us see our blind spots better, and inspire us to take the time to become experts in areas where we fall short. There is a need to have conversations about heavy topics–conversations that are built on a foundation of learning without fear of an outcry of censorship and banishment. We grow from each other, from listening to different Peoples and groups, from taking the time to see the world through another pair of shoes and eyes. My passion for reading and storytelling stemmed from this, to give an individual a chance to see life through my eyes in hopes to make them a better person. However, with cancel culture in YA–don’t we take away that opportunity? I’m on the fence to believe that in our pursuit to be #woke we have somehow created a new form of censorship. Cancel culture has bulldozed its way through the YA community and what was once a critic’s humble opinion is now a call to arms to ban the world of a story that for someone could change their life for the better. Should authors do better–yes. We live in a colorful world and that should be represented. 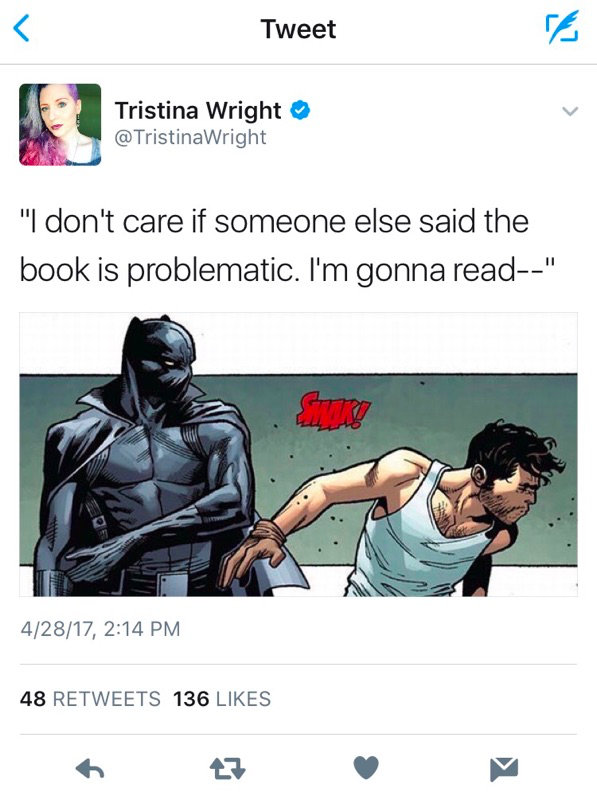 But if a book doesn’t have that representation, then I am not going to disengage from the author completely and force everyone else to turn their backs on that author as well. It doesn’t solve the root of the problem but rather lets the infection fester. How can we demand awareness if we don’t show the authors what we need them to be aware of? And if we show those authors their injustices, it is then their job to act upon it, to do better next time. To not add the vibrancy that is our world in later as an afterthought to escape criticism. One of the beautiful things about literature–about art–is that we are huge proponent in how the world is shaped in the future. Why not make the world better by becoming better? So what do you think? Do you think Cancel culture should give those who have done wrong in the past a chance to better themselves? Or do you think cutting off all ties is part of the consequence for their actions? 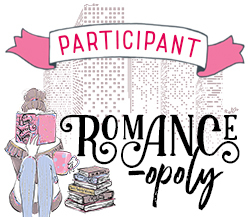 Should the YA community show favoritism in who they do and don’t cancel? Or do you believe we have made social awareness a new form of censorship? Cancel culture is exhausting. EVERYTHING WE LOVEEE IS PROBLEMATIC NOTHING IS PERFECT. Which is the same as life. We have become more aware of certain things now with the internet and social media but at the same time if we cancel everything what will we have left? Nothing. I don’t think JKR is pure evil but I’m not going to let everything she says slide just because I love Harry Potter. She has to PROVE that she’s shown herself and has grown as a person and does better. If they haven’t changed much is a different story. I agree with you! I feel like once you have been given the education and the “warning”–for lack of a better term, the ball is in your court–you can either choose to grow from the experience and become a better person or stay the way you are. And I feel like if you CHOOSE to stay the way you are, then you can’t be shocked when people start to walk away from you or rescind their support. You make a lot of really good points about cancel culture being problematic in some aspects. Sometimes it seems like people in general love to call people out but then don’t want to believe that people can change or learn from their mistakes. I understand that problematic stuff can make people lose trust in an author but I think it’s important to show that the community believes people can learn and grow and aren’t just interested in cutting people out permanently. I agree with you, however more often that not the community tends to jump more quickly into cutting off others that cultivating that learning environment. The issue I have with cancel culture is that it promotes censorship. We as a society should be allowed to consume problematic media and discuss why it’s problematic. That’s how we learn. People who engage in cancel culture are no better than those who ban books. If you choose not to read it perfect but don’t tell me I can’t because you don’t agree with the content. EXACTLY!!! Who are we to call up arms when a school bans a book that is needed in our day and age when we do the same with our very own peers? I hugely agree with your sentiments! This post is wonderful and so well researched, and I was so happy to help with proof-reading, etc! I don’t know what the answer is, because I do think that problematic people with no interest in learning how to be better kind of deserve to be cancelled, but it in my opinion it can be just as problematic to proclaim someone cancelled without digging into the situation and providing an opportunity to learn. I am a person that votes with my wallet and don’t give my money to businesses or people that I have stances that go against my beliefs. I think it is important to be informed consumers and equally important to be held accountable. ❤ I'm so glad you agreed to kill my commas! And I agree with you, I feel like if you are given multiple chances to grow and learn from your mistakes and you refuse than you can't complain if I rescind my support from you. However, I do think that those who are problematic should indeed be given a chance (maybe even two) of learning from their mistakes and growing past them. I find this topic very difficult because whilst I agree with some of the points you raised, I also disagree with others. On the one hand, yes I think that the way that cancel culture has been used recently (especially) has resulted in people piling on a bandwagon, often without understanding what the issue is really about or thinking about the consequences of their actions. However, I don’t really agree with this idea of ‘educating’ people to allow them to ‘grow’ because tbh… that responsibility often falls onto the shoulders of the very people who are being harmed by the problematic behaviour. As a trans person, I hear all the time about how the trans community *should* allow people the space to talk and to provide a forum where they can be challenged rather than cancelled. But you know what… in my experience most of those problematic people aren’t interested in being educated. There have been countless times when myself and other marginalized people have put in the time and effort to educate problematic people. Sometimes there are success stories where people listen, learn and change but imo those instances are rare, most of the time it either results in almost no change in the person’s behaviour or, at worst, involves engaging with someone who is saying harmful and offensive things.